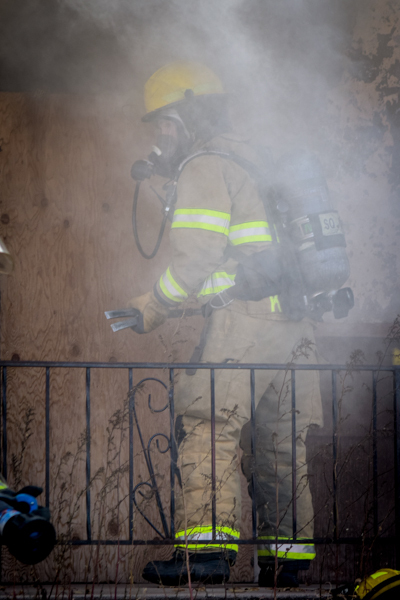 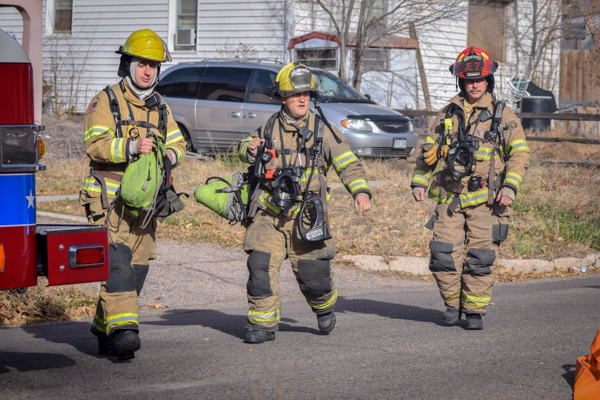 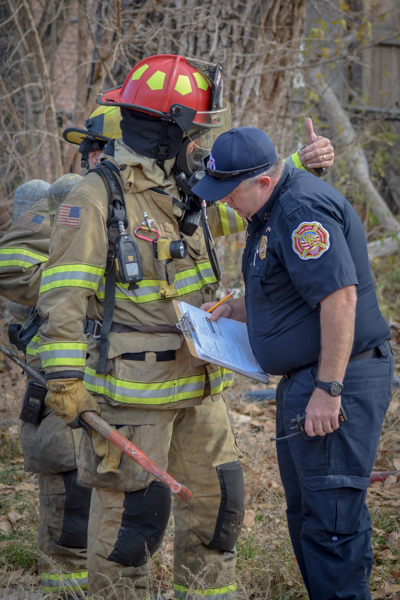 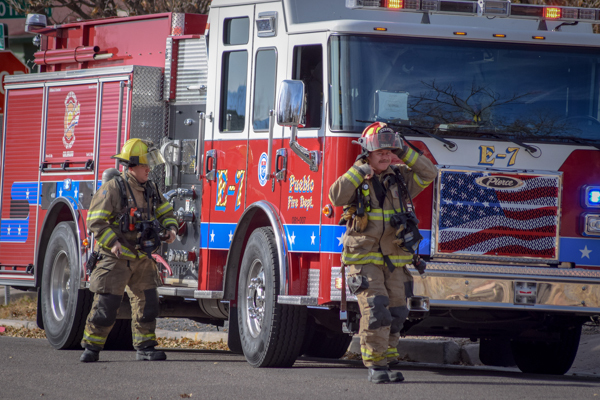 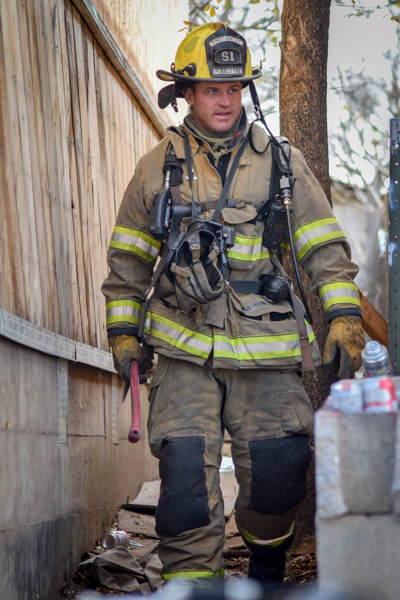 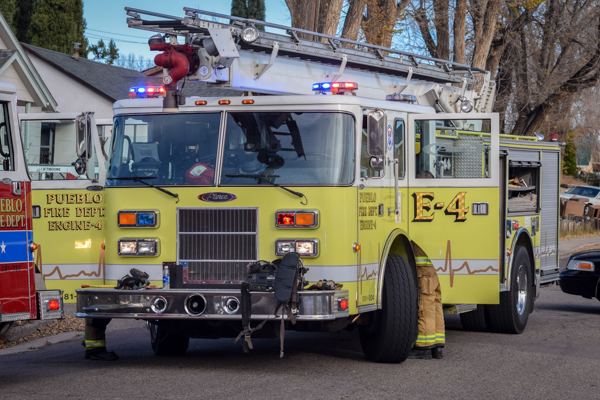 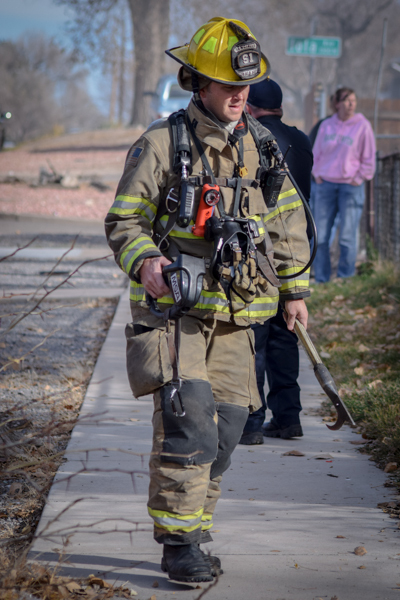 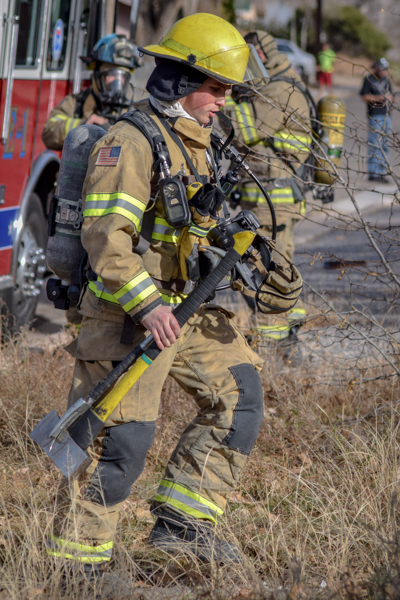 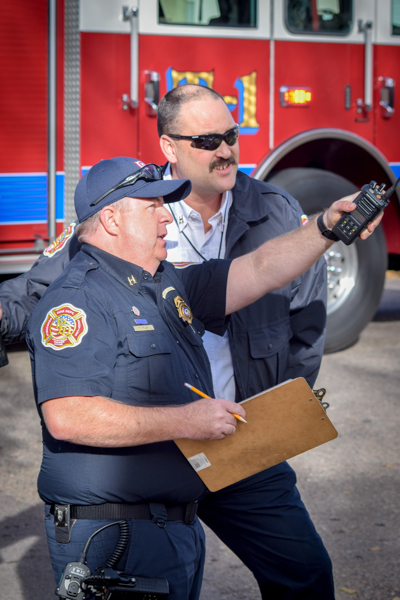 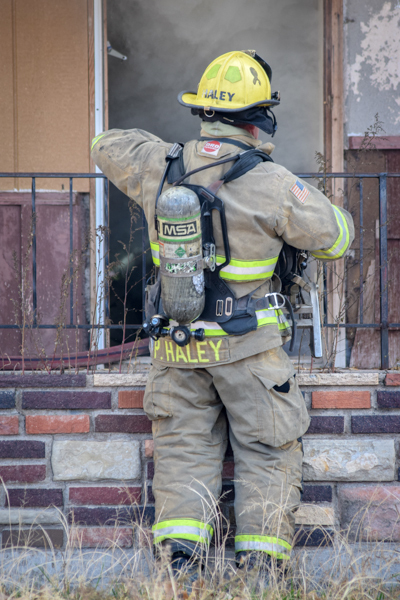 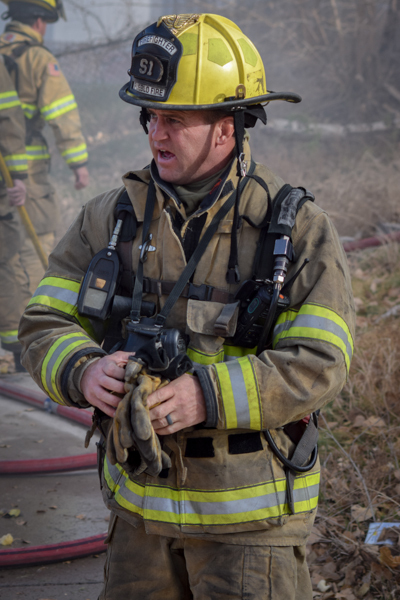 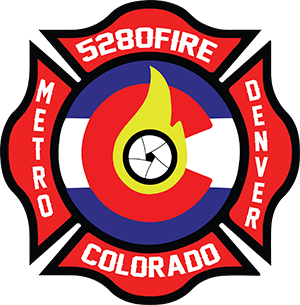 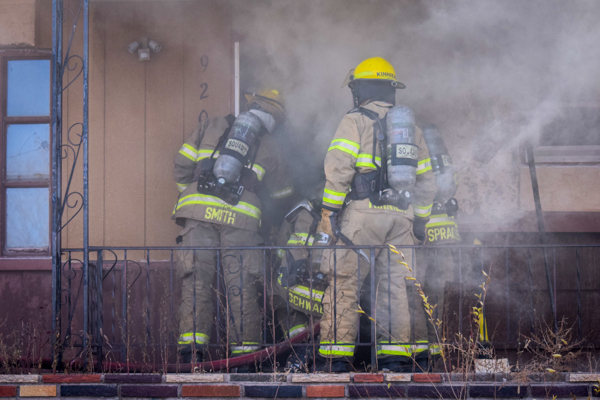 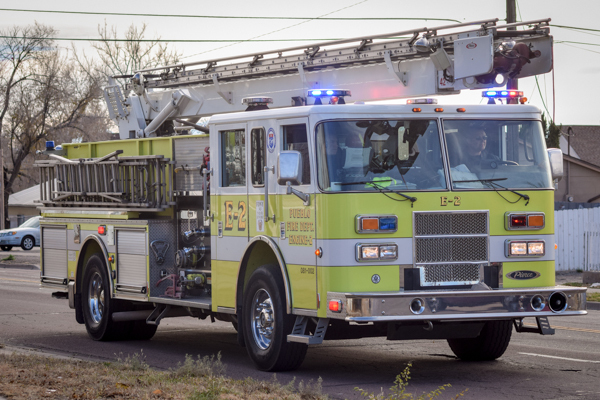 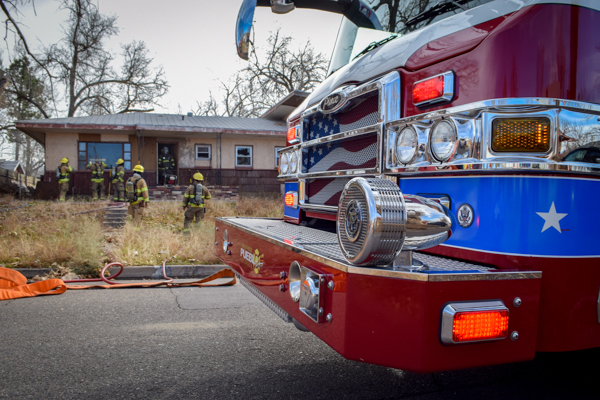 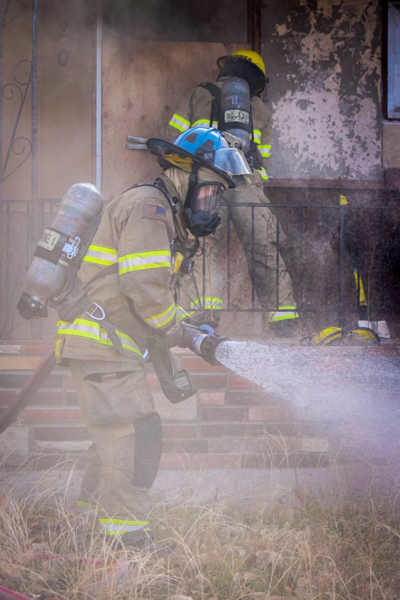 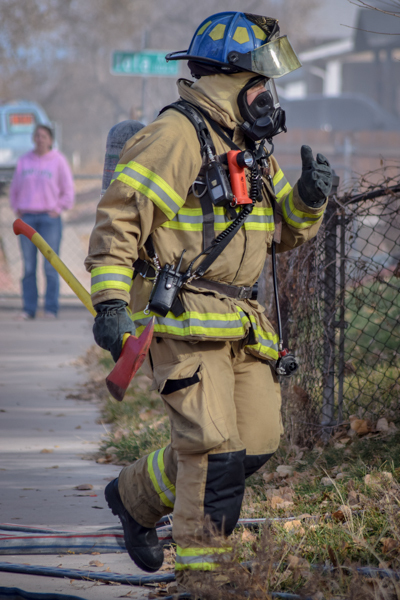 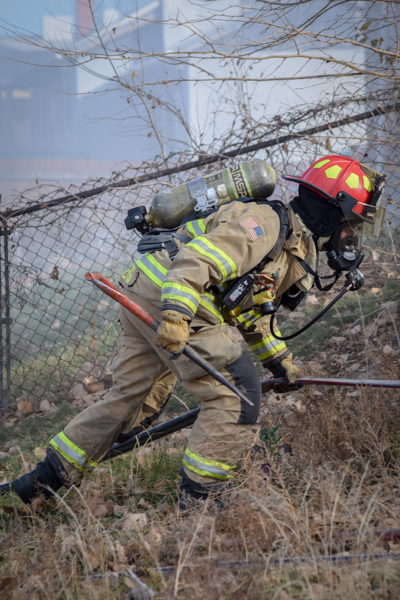 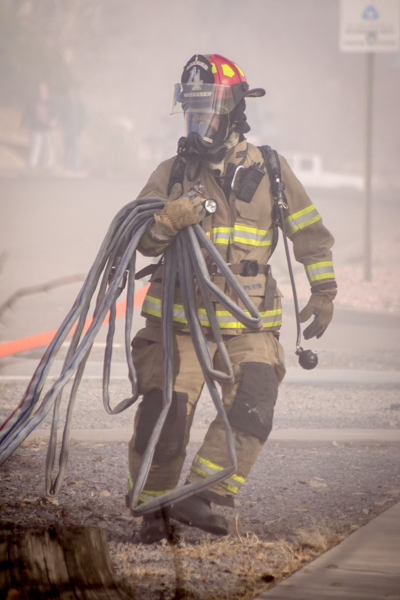 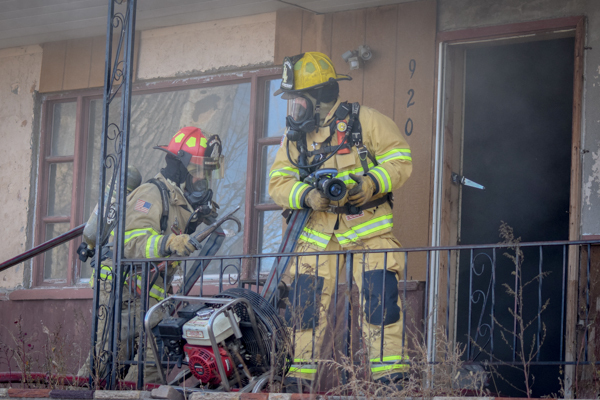 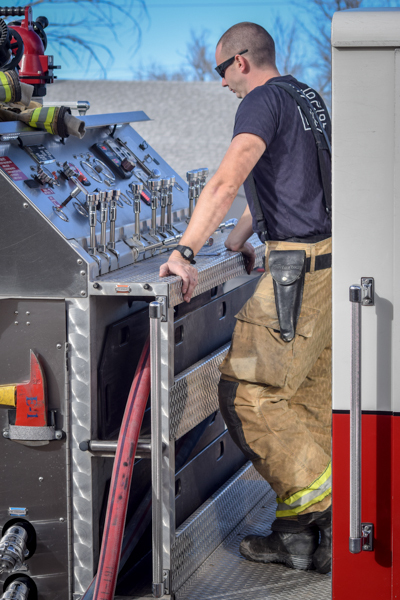 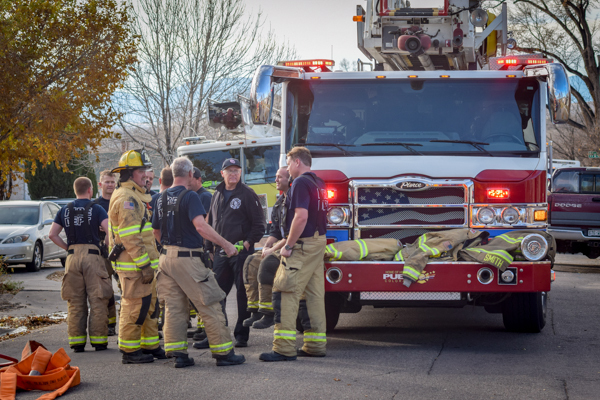 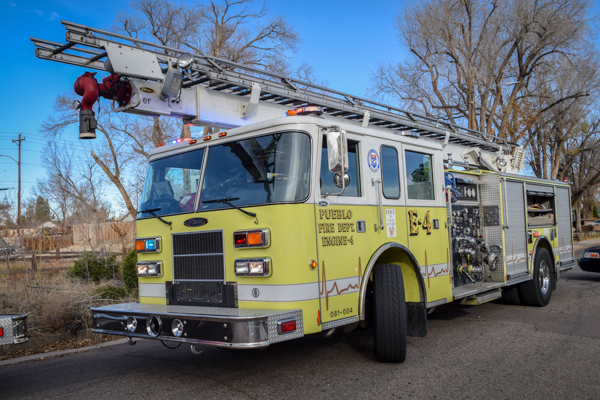 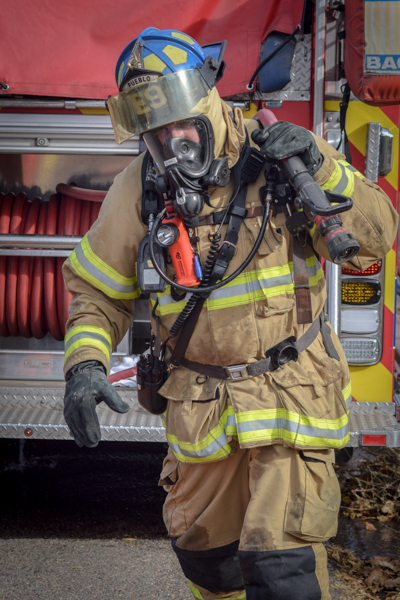 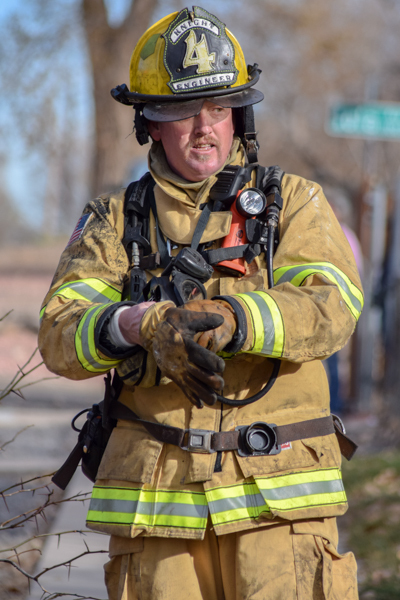 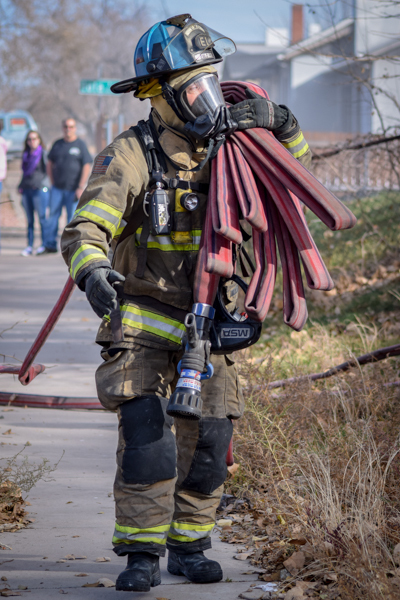 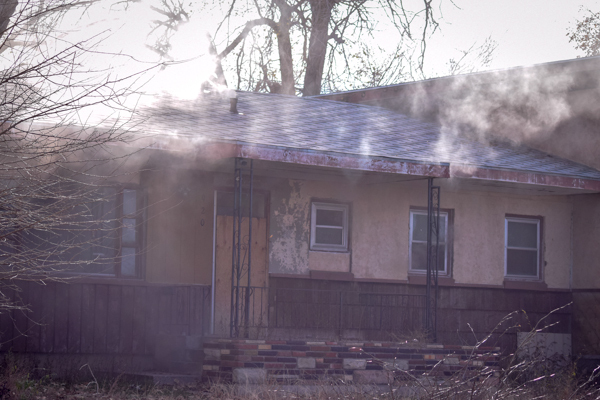 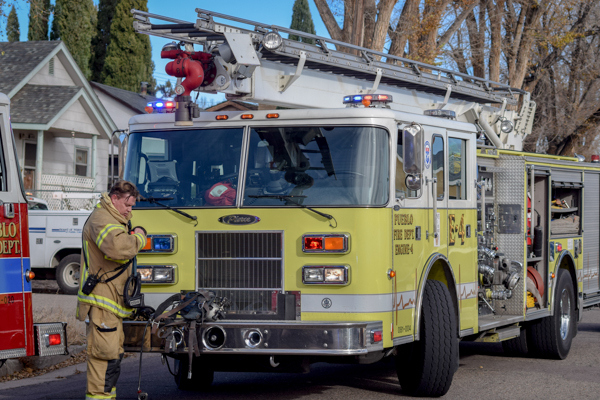 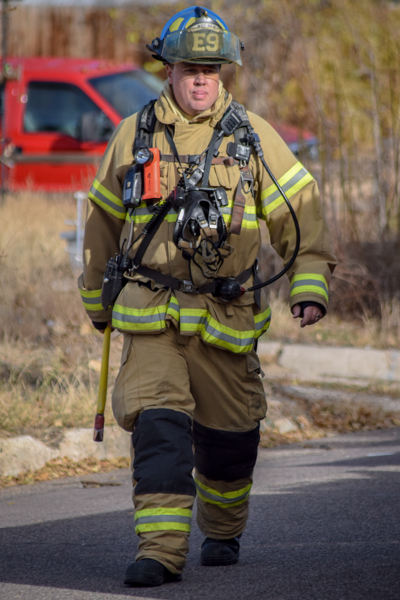 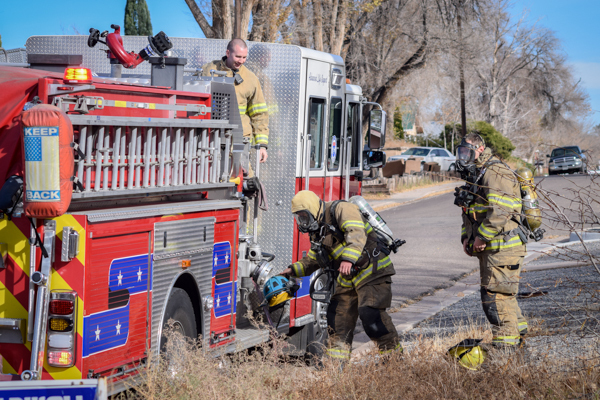 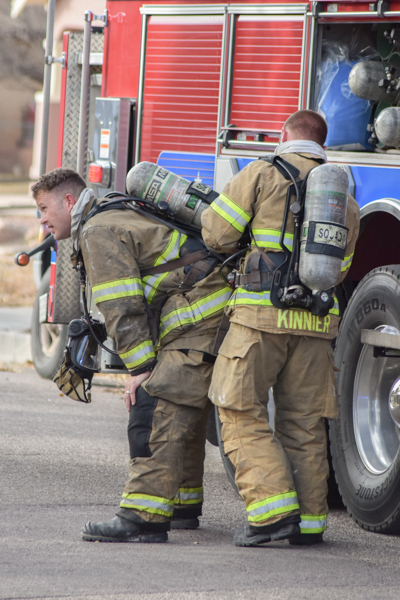 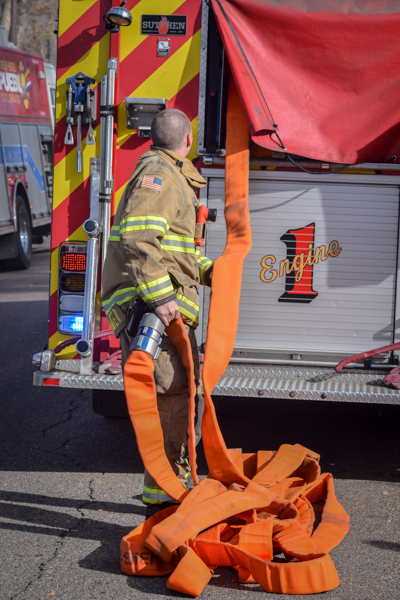 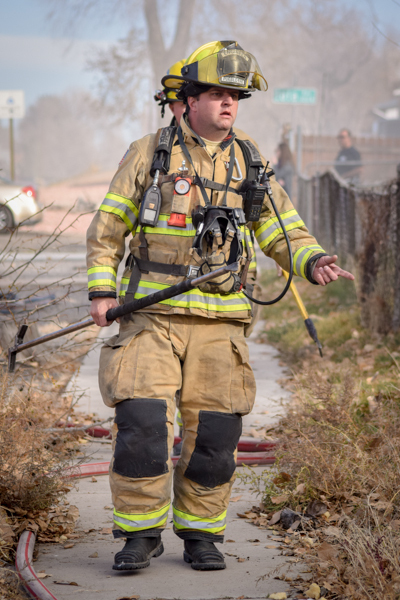 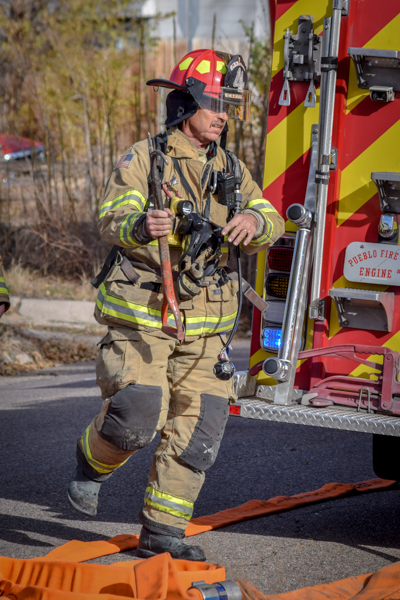 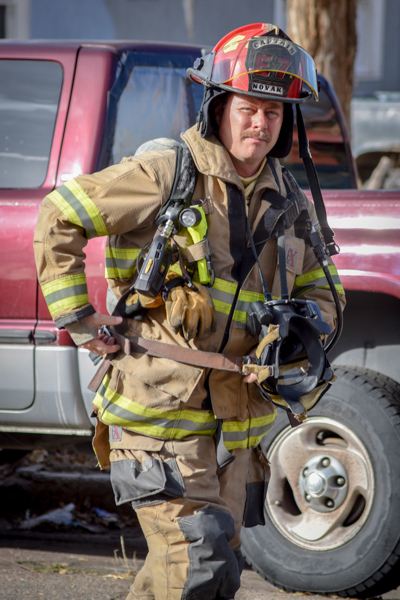 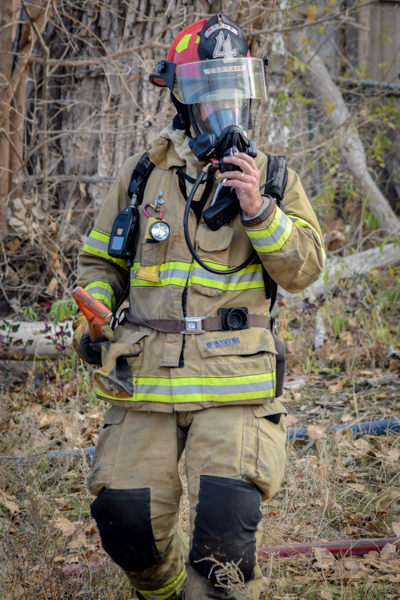 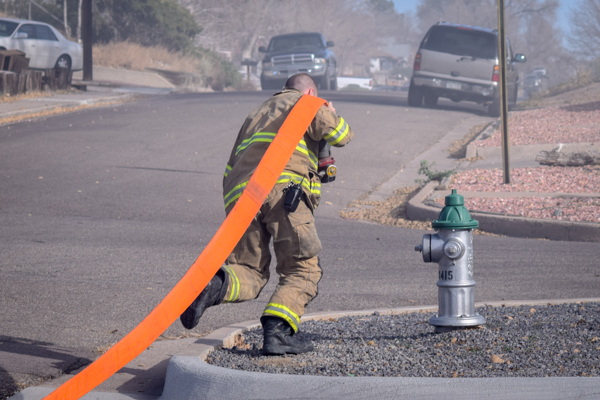 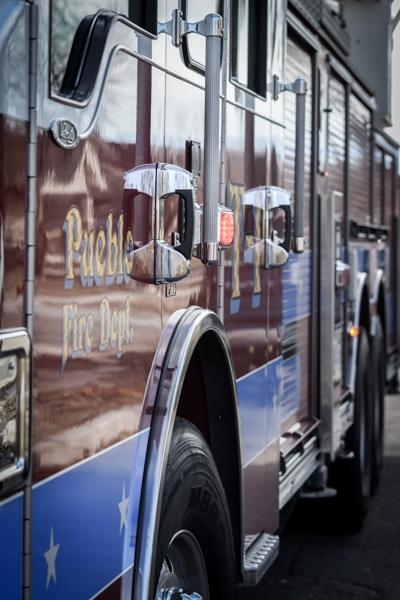 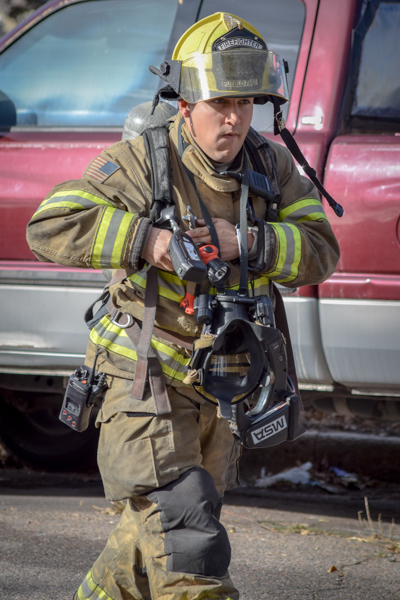 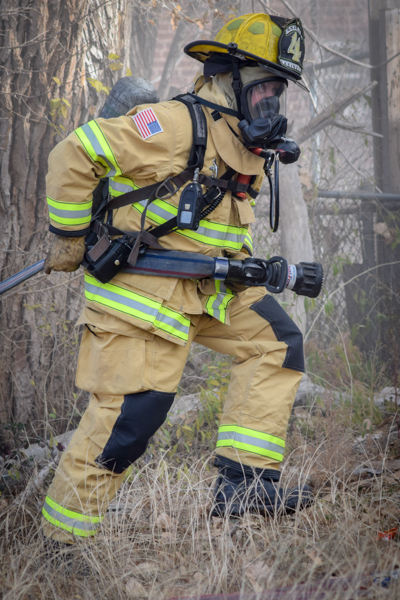 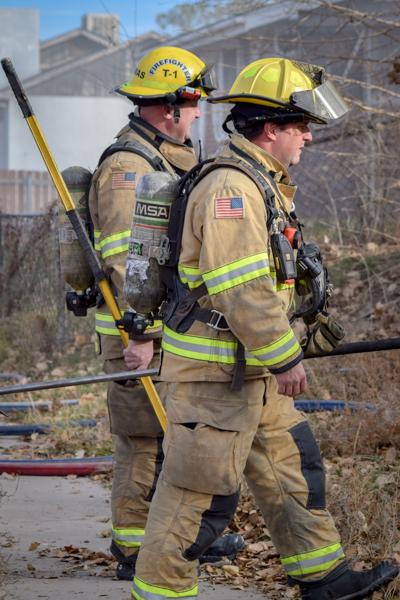 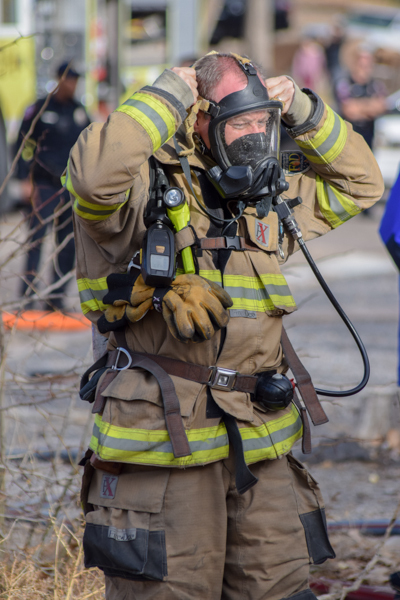 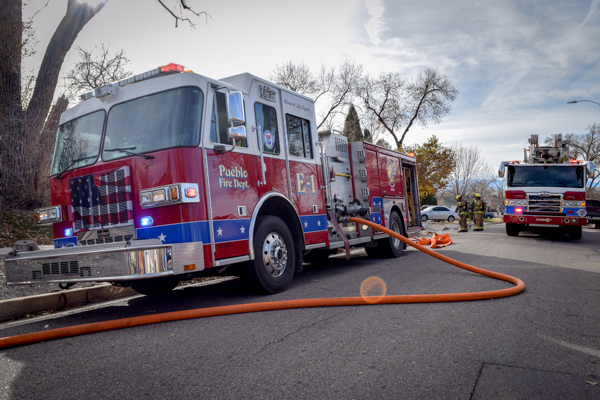 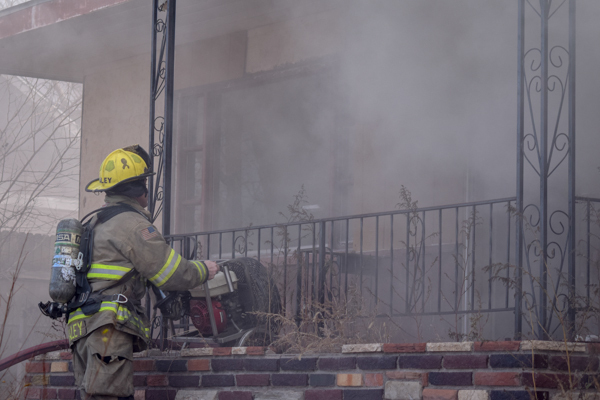 Around 13:45 on November 20th, 2017 Pueblo Fire Department was dispatched to the area of 12th and Iola on reports of a structure fire at a vacant residence. 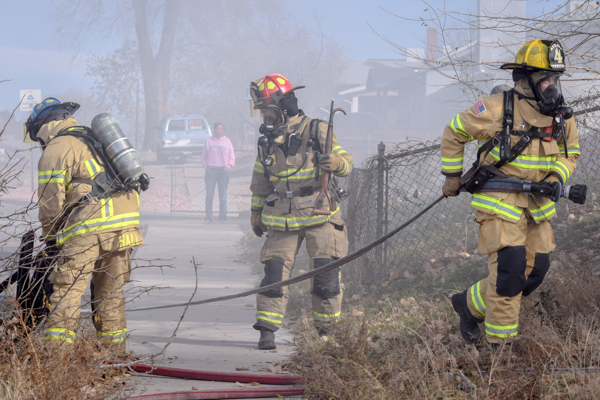 Chief 3 arrived on scene to find heavy smoke on the bravo side. 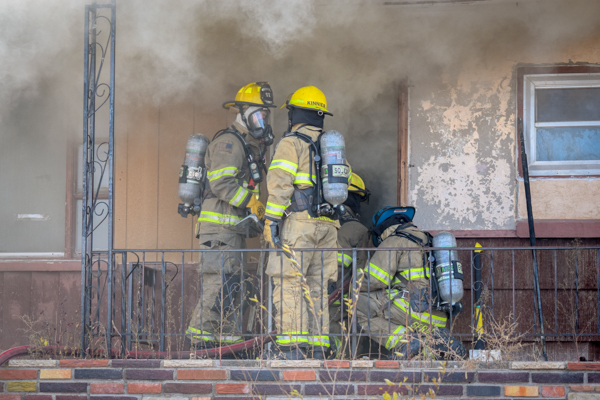 Engine 1 and Squad 1 forced the boarded front door and made entry. 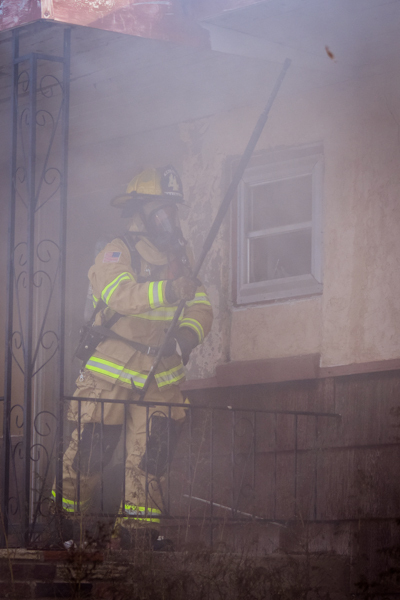 A second line was pulled by Engine 4’s crew and they also made entry through the front door. 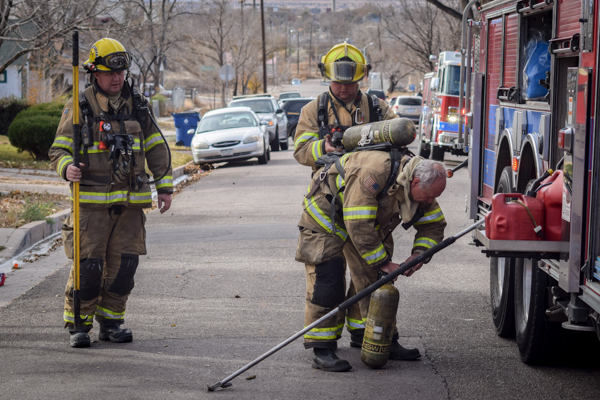 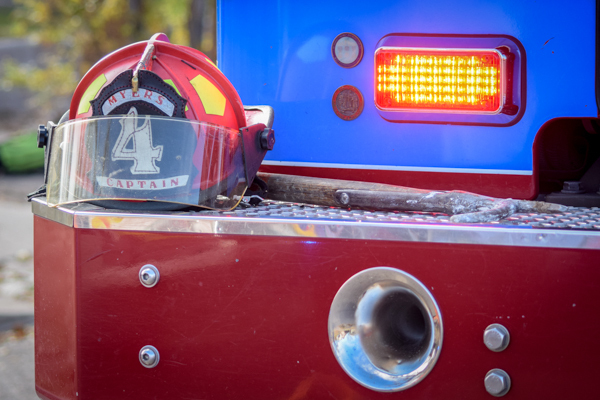 Crews had the fire knocked down within a half hour and Truck 1 vented with a fan. 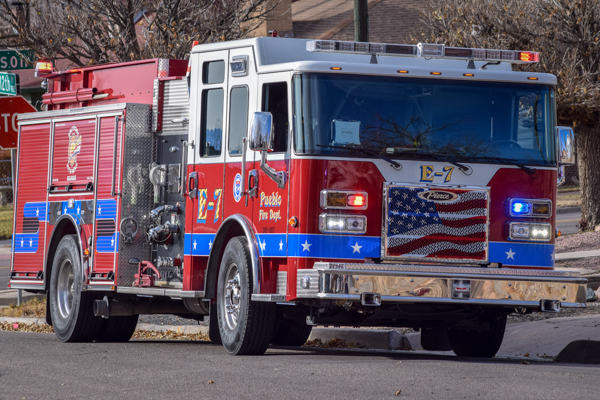 Units on Scene: Chief 3, Engine 1, Engine 4, Engine 7, Squad 1, Truck 1, Bureau 2 and Training 1.